Laminated glass consists of two or more panes of float glass bonded together by heat and pressure with one or more sheets of a tough flexible polyvinybutyral (pvb) interlayer sandwiched permanently between the glass sheets. The performance of laminated glass can be varied by changing the number, thickness and type of each of the glass components and the number and thickness of the pvb interlayer’s. When broken laminated glass retains any dangerous glass shards and prevents them falling from the window opening. 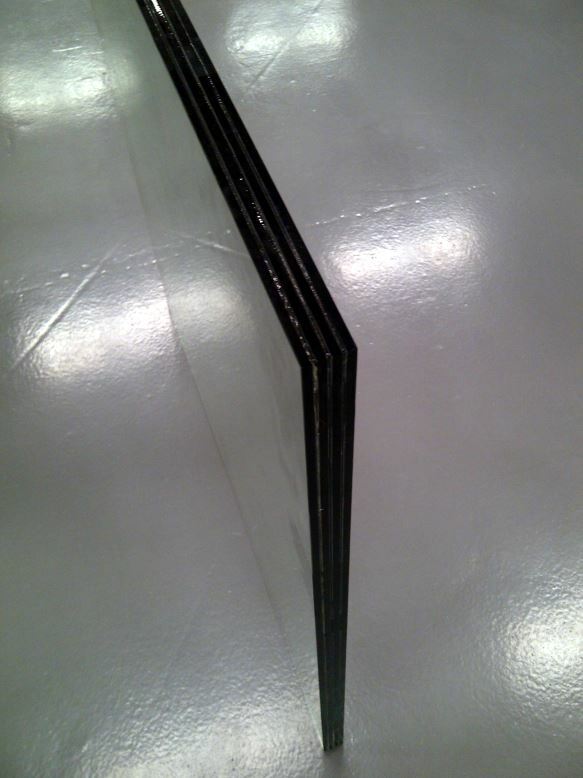 Laminated glass is also used for security where necessary.